FREE GIVEAWAY MELBOURNE: Who wants to WIN an amazing Castle and Cubby house for their kids? (2) comment on our Facebook post, in 25 words or less, what your kids’ dream cubby house would look like and why. Entries judged. Ends 5 Sept. 2018. One winner, open to AU residents 18+. Information on how to enter forms part of these Terms and Conditions. Entry into this Competition deems acceptance of these Terms and Conditions. To the extent of any inconsistency between these Terms and Conditions and any other advertisements or reference to this Competition, these Terms and Conditions prevail. The Promoter is One Fine Collective PTY LTD. There will be 1 winner of the competition. Entry is open to all Australian residents, except employees of the Promoter and their immediate family members, associated companies and agencies and participating vendors. Immediate family means any of the following; spouse, ex-spouse, de facto spouse, child or step child, (whether natural or by adoption), parent, step parent, grandparent, step grandparent, uncle, aunt, niece, nephew, brother, sister, step brother, step sister or 1st cousin. Entrants must be 18 years of age or older at the date of entry. 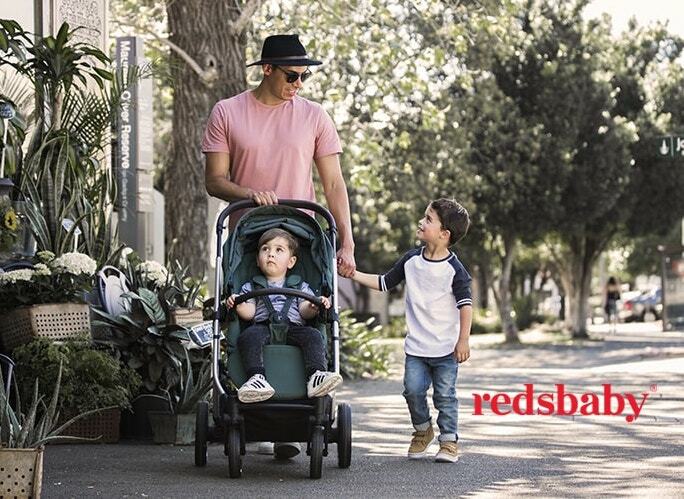 Each entrant must be registered for One Fine Baby Melbourne and attend the event 15 or 16 September 2018. To enter, the entrant must comment on the Facebook competition post. 1.1 Register or be registered for One Fine Baby Melbourne 15-16 September 2018.
words or less what your kids’ dream cubby house would look like and why. 1.3 Attend the event by scanning in registration at entry. Entrants may only enter in their own name. The Competition opens Thursday 23 August at 10am AEDT. The Competition closes Wednesday 5 September at 4pm AEDT. The winner will be selected on Monday 17 September at 12pm AEDT. The Promoter’s decision regarding the winner is final and non-negotiable. The Promoter shall not enter into any correspondence regarding results of the Competition. For the avoidance of doubt this is a game of skill. The winner shall be notified via phone and email and announced on the Promoter’s Facebook and Instagram within 14 days of the draw. The selected winner will have until Friday 7 December 2018 (3 months) to confirm their prize. If the selected winner fails to confirm their attendance a replacement winner will be selected. The Major Prize is valued at up to $2000. The winner will receive a cubby and accessories of their choosing (including mud kitchens, sandpits and furniture items), up to the value of $2000. The prize includes delivery and installation to Melbourne Eastern Suburbs. Delivery outside of this will incur additional costs. The Promoter reserves the right to amend, cancel or suspend the Competition if an event beyond the control of the Promoter affects the administration, security, fairness, integrity or proper conduct of the Competition. The Promoter will disqualify any individual who has tampered with the entry process or any other aspect of this Competition. The Promoter and its related entities and associates shall not be liable for any issues or technical malfunctions which may affect any person entering the Competition or the judging of the Competition. Any Entrant found to be entering incorrect details or engaging in fraudulent behaviour shall be immediately disqualified. If such an entrant is awarded a prize then the Promoter may remove that Entrant as a winner. The Promoter has the sole discretion to determine if this clause has been breached and its decision in relation to this clause shall be final. The Promoter reserves the right to request a winner sign a deed of release or any other relevant forms or agreements that the Promoter deems necessary, including to provide proof of identity in order to claim a prize. In the event that the winner cannot provide suitable proof the winner will forfeit the prize and no substitute will be offered. In the event a winner is unable to satisfy these Terms and Conditions the Promoter reserves the right to select a substitute winner. The Promoter’s decision in relation to all aspects of the Competition is final and binding, and no correspondence shall be entered into. No responsibility is accepted for late, lost or misdirected entries. In participating in this Competition, all entrants and winners agree to participate in all editorial and promotional activities relating to this Competition, including but not limited to being interviewed, photographed and recorded. All entrants and winners agree to grant the Promoter a perpetual and non-exclusive licence to use such footage and photographs in all media worldwide, including all forms of online and social media. No entrant or winner shall be granted a fee for such use. Nothing in these Terms and Conditions limit, exclude or modify or purports to limit, exclude or modify the statutory consumer guarantees as provided under the Competition and Consumer Act 2010 (Cth), as well as any other implied warranties under the ASIC Act or similar consumer protection laws in the State and Territories of Australia. Except for any liability that cannot be excluded by law, the Promoter excludes all liability for any personal injury, or any loss or damage, whether direct or indirect arising in any way out of this Competition. Any cost associated with accessing the Facebook Page or Instagram Page is the entrant’s responsibility and is dependent on the Internet service provider used. Entry and participation in the promotion is dependent on entrants following and acting in accordance with the Facebook Statement of Rights and Responsibilities, which can be viewed at facebook.com/terms.php. The Promoter reserves the right to monitor and moderate all entries. The Promoter reserves the right, at any time, to verify the validity of entries and entrants and to disqualify any entrant who submits an: entry that is not in accordance with these Terms and Conditions or who tampers with the entry process. Failure by the Promoter to enforce any of its rights at any stage does not constitute a waiver of those rights. The Promoter reserves the right to remove any entries considered to be of an offensive or defamatory nature. The Promoter reserves the right, in its sole and absolute discretion, to remove any entries that it considers to go against the spirit of the competition.